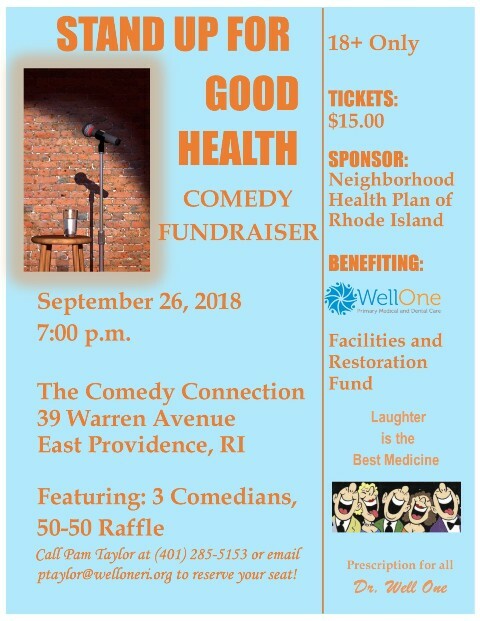 WellOne Primary Medical and Dental Care, a federally-qualified, non-profit health center, is holding its annual fundraiser, “Stand Up for Good Health,” on Wednesday, September 26, 2018, at 7 p.m., at the Comedy Connection in East Providence. The event features performances from three stand-up comedians and a 50-50 raffle. Proceeds from the event will go toward WellOne’s “Facilities and Restoration Fund.” Monies in this fund focus on projects such as maintenance/repairs to building exteriors, including roofs, interior remodeling, utility systems maintenance and projects that improve facility access for mobility-impaired individuals. 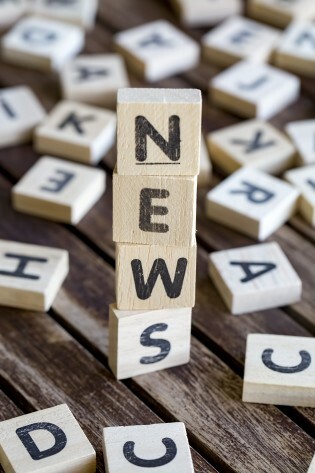 WellOne Primary Medical and Dental Care provides primary medical, dental and behavioral health services to individuals of all ages regardless of ability to pay. It has offices in Pascoag, Foster, North Kingstown and North Scituate. For more information or to reserve a seat, please call Pam Taylor at (401) 285-5153 or email her at .